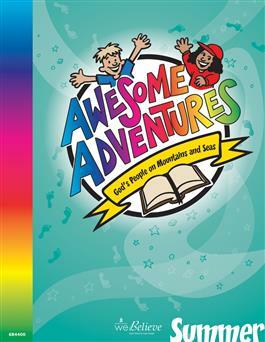 Packed with kid-friendly lessons, take-home comics, and activities, this broadly graded summer curriculum encourages children to explore Old and New Testament stories of God's people on the move. Anna and Jake will take your class of adventurers over mountains and across, beside, and sometimes in water, to explore the stories of people in the Bible learning to follow God no matter where they were. This all-inclusive Teacher's Book includes 13 easy-to-use lesson plans, reproducible resource sheets and 'For the Home' pages as well as photocopiable, take-home comic adventures that enable kids to make a comic book of their very own!